Lost Maples State Park All Aboard Seniors. 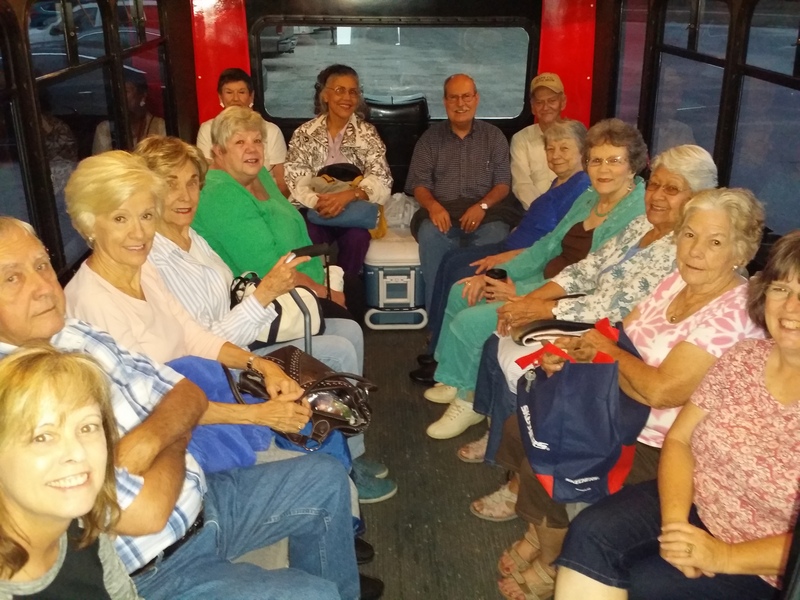 On a beautiful day late in October we had the pleasure of Transporting a group of Seniors to the Lost Maples State Park. The ride there was beautiful. Lots of good scenery and plenty of hills and vistas. It was one of our more quiet groups which was nice for a change. The park was beautiful even though the leaves had not completely changed colors. We were a week too early. Usually the Maples change color after the first cold snap. That’s what I’m told. I was also told that the trees came from a glacier a very long time ago and were deposited there. There is a walking trail that goes to some kind of a rock feature that looks like a Monkey but I didn’t see it. On the way back we stopped at The Apple Store aka Love Creek Orchards for some cookies, pie and other assorted apple goodies. It’s a unique little store with a cafe that also sells apples trees. They had a variety of trees for sale. I had the pie. It was absolutely wonderful. I would stop there again if I had the chance. The store is in Medina, TX. Click on the words The Apple Store for the website. The cider was divine.